Create an unique brand mark that is easily recognisable and sets Bhatti Fruit Orchards apart from the opposition. The design must be flexible to ensure consistency across all form of media. (Print, Web, Signage, etc). It is important the new logo can work as ‘plasma-cut’ sign to be installed at main entrance to property. 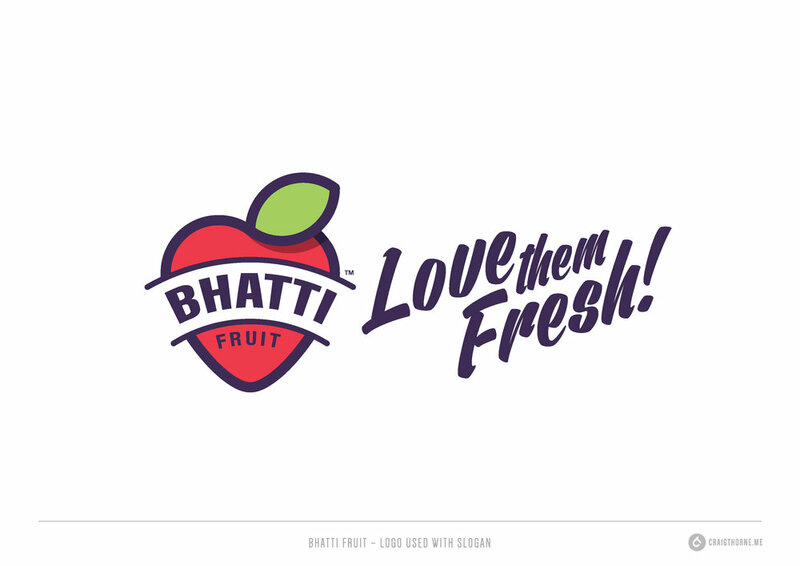 The new, Bhatti Fruit logo has been designed to be clean, modern and easily recognisable. Using simple shapes and forming a ‘heart’ shape that represents a love for fruit. This ‘heart’ shape also helps connect with the proposed slogan: ‘Love them Fresh’ The design is strong and versatile. It can be used in full colour, solid black/white or reversed.